June is the Republic’s most promising prodigy. Yes the Legend series is a dystopian trilogy, but unlike most dystopia’s I’ve read, this book is equally split between two POV’s, June and Day. And I think this is what made this book so fantastic! There was more than one perspective, which really helped the reader to somewhat empathise with the Republic, even though they are the ‘enemy’. More importantly it was consistently from both a female and male viewpoint, which I loved. Because we all know that when a book is solely from girls POV the story always becomes really romantic and often love-triangly. (blah!) Don’t get me wrong; there were romantic tendencies from both characters but it was more of a side plot with a purpose, which made it more interesting than most dystopian love stories. June and Day are both really smart and I really liked this about the book. There wasn’t a dominant character. 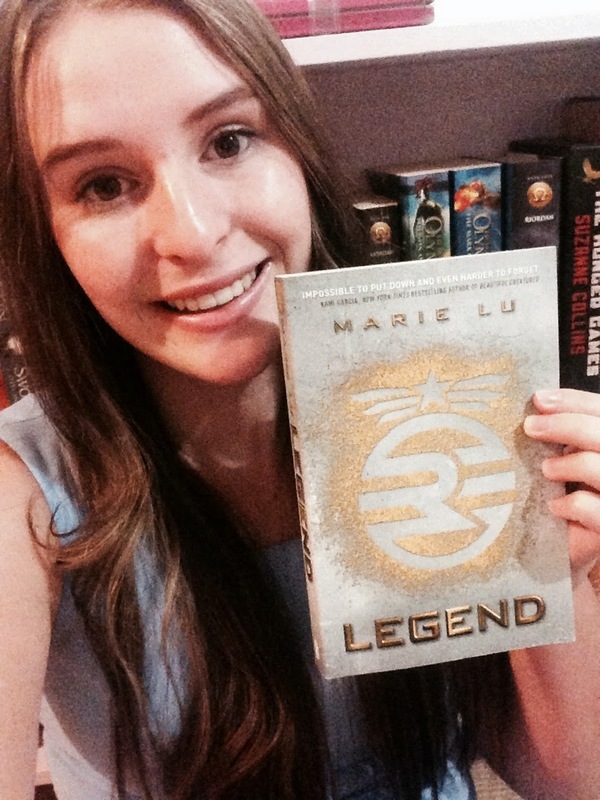 They are equals and both have flaws and virtues, which made them really well rounded and Marie Lu did a great job creating them. I did prefer Day’s chapters more than Junes, but I think that as the story goes on and June becomes more aware of what the Republic is really like then she will become more relatable and consequently, more likable. But I do like June, just not as much as Day. I found this world really realistic. People weren’t separated by values like in Divergent, or by region like in The Hunger Games, but by the potential of their genes. At the age of 10 everyone has a trial, which measures physical, mental and social abilities and determines the level of education they will receive and the jobs they’ll be able to do. In some ways this form of a dystopian society reminds me of Hitler’s goal of creating the perfect race. The republic is trying to weed out the stupid from the intellectual, and I find this really interesting for a dystopian story. Overall I rate Legend 4/5 stars!